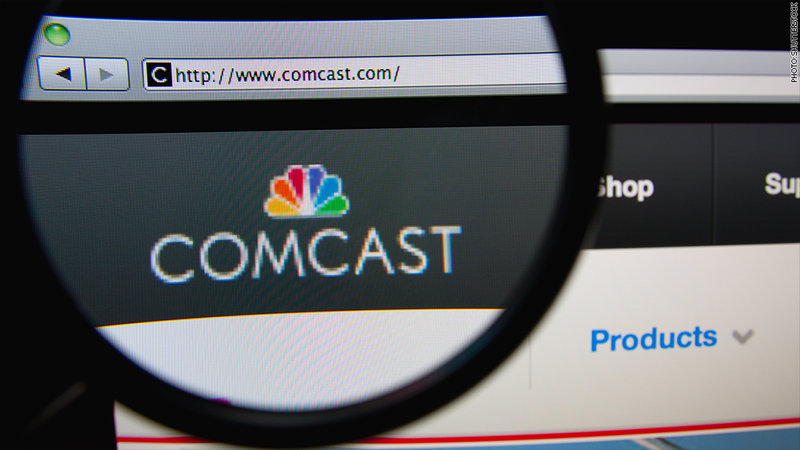 The only TV service customers find worse than Comcast is Time Warner Cable -- which Comcast is buying. Note to Comcast and AT&T executives: you've got your work cut out for you. Subscriber satisfaction with cable and satellite TV providers has slumped across the board, according to a new American Customer Satisfaction Index (ACSI) survey of tens of thousands of people. Of the eight providers studied, the worst performer is Time Warner Cable, the cable company that's merging with Comcast. The second worst is Comcast. They were in the same order last year — but this year, their scores are weaker. Time Warner Cable has a score of 56 and Comcast has a score of 60. The industry average is 65. The data was released in a report Tuesday, two days after AT&T announced a plan to acquire the biggest satellite provider in the country, DirecTV. Satellite companies such as DirecTV and fiber-optic TV services such as AT&T's U-verse tend to rate higher in customer satisfaction surveys than traditional cable companies like Comcast. The new rankings place DirecTV at the very top of the industry, with a score of 72, tied with AT&T U-verse. But both providers slipped — DirecTV is down 4 points from 2013, and AT&T is down 3. Generally speaking, subscription TV is "among the least satisfying industries measured in the American Customer Satisfaction Index," the ACSI report states. "Only Internet service, which is provided by many of the same companies, scores lower." Both Comcast and AT&T have characterized the current wave of industry consolidation as being pro-consumer. Comcast, in particular, will be under pressure to improve Time Warner Cable customer satisfaction, given that its score this year, 56, is an all-time low. The ACSI report questioned whether "a combination of two pay-TV providers with such poor records could possibly create a better customer experience, especially given the volume of evidence from ACSI data suggesting that mergers in service industries tend to damage satisfaction -- at least in the short term." While consumers may not love their cable provider, they aren't cutting the cord en masse. (The reasons why — a dearth of other options? — are debatable.) The Leichtman Research Group, which compiles quarterly data from the 13 biggest TV providers in the country, found that the industry added about 260,000 TV subscribers in the first quarter of the year. Bruce Leichtman, the firm's president, called this the industry's best quarter in two years. Only a slight overall decline in TV subscribers has been detected in his data in the past twelve months. Meanwhile, more households continue to sign up for broadband Internet — Leichtman's data shows an increase of 1.2 million subscribers in the first quarter of the year.